Categories: Bucket List, Healthy Body + Healthy Mind, Musings, Travel, Words & Writing | Tags: Balance, Blogging, Mindset, Strength, Travel, Wisdom | Permalink. Skydiving for the first time. 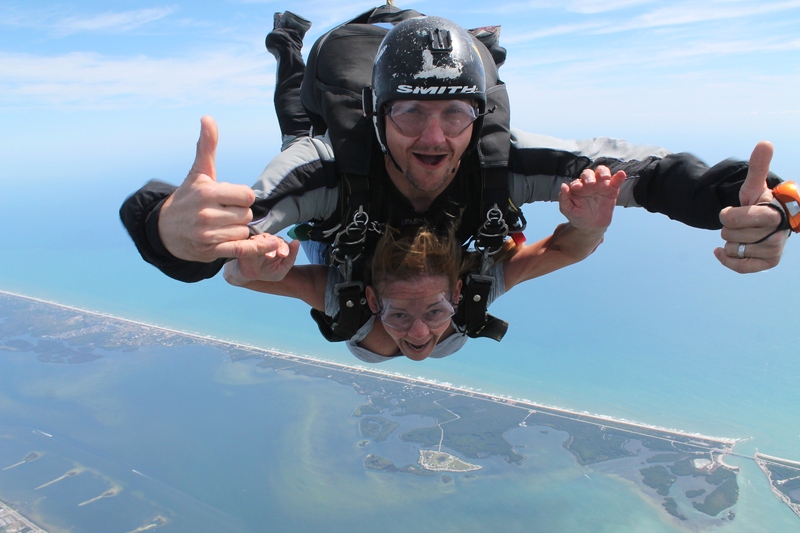 Tandem Free Falling over Cape Canaveral, Florida USA was incredibly awesome! Who’s up for a little hang gliding? Categories: Bucket List, Healthy Body + Healthy Mind, Words & Writing | Tags: Adventure, Balance, Dream, Florida, Freedom, Happiness, healthy, Husband, Letting Go, Light, Pray, Success | Permalink. 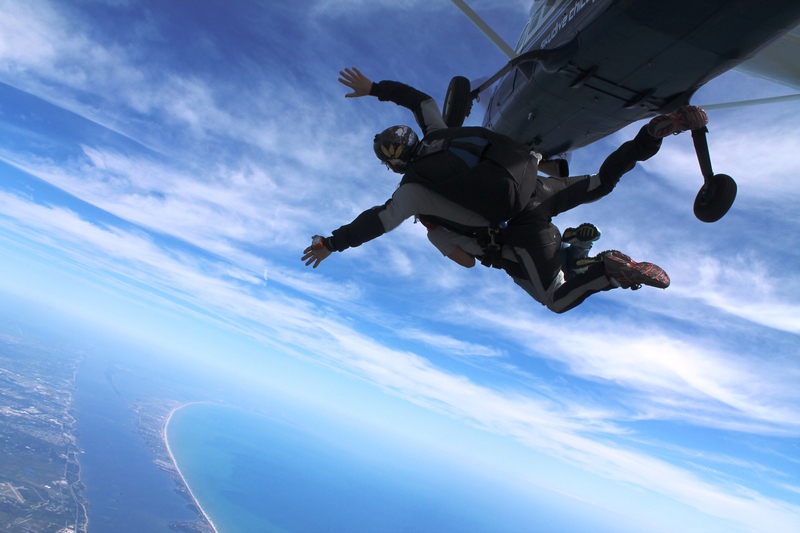 Living with Vorfreude … and skydiving! I’m turning 50 years old soon. Oh no, I don’t mean “next week” kind of soon. I’m talking about the “soon enough” kind of soon. It is “soon enough” that I think about turning 50 every. single. damn. day. But… here’s the thing. I figure that if I’m going to have this thought in my head all the time, well then, it’d better be a good one. So… I’m choosing to be happy about this upcoming birthday. (My daughter says I’m weird about this ‘happy’ thing but I don’t mind that she thinks that.) This birthday is a big milestone and it is NOT necessary to be sad about the occasion. I mean, come on?! We only get to turn 50 once in our lifetimes, right? Therefore, let’s have some fun! I am “taking the road less traveled” (aka “You’re weird, Mom”) and I am celebrating my birthday every single month of the year 2014 because… one 50th birthday? Au contraire mon frère! And beginning on January 1, I put action to words and started celebrating my 50th Birthday by choosing JUBILANT as my “One Word” for 2014. Words have always mattered very much to me. I am an empath, an introvert, and a voracious reader. Truly, you wouldn’t believe the vibrational impact words have on our psyche. So… three years ago I decided to stop making New Year’s Resolutions in favor of the “One Word” approach. One word that sums up who you want to be or how you want to live. One word that you can focus on every day, all year long. In years past, I’ve chosen KIND, GRATEFUL, and MINDFUL. They were wonderful choices and did indeed color my whole world for that year. 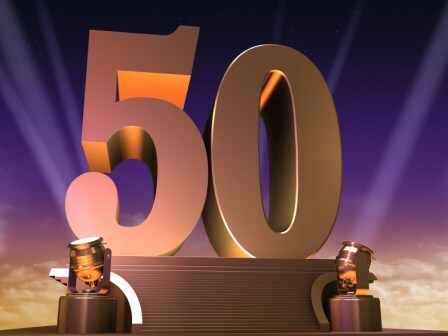 This year, the year 2014 and the year in which I will turn 50 (my jubilee year if you will), I chose JUBILANT and it has been extraordinary the impact this one little word has had on my mindset. I AM overjoyed, exultant, triumphant, joyful, rejoicing, exuberant, elated, thrilled, gleeful, euphoric, ecstatic, enraptured, in raptures, walking on air, in seventh heaven, and on cloud nine! Tomorrow… I am skydiving for the very first time and I am jubilant! But I am also savoring the anticipation like a fine wine… or a good Kombucha. And to think that it is only May. What’s in store for the rest of the year? Oh my but there are so many wonderful things yet to come! Here’s to moving forward in our journeys with much Vorfreude! And skydiving! Is it Saturday yet? Categories: Bucket List, Healthy Body + Healthy Mind, Musings, Words & Writing | Tags: Adventure, Freedom, Happiness, Husband, Learning, Letting Go, Mindset, musings, Skydiving, Words, WOTD | Permalink.